Sounds like a delightful evening. By the way, Sara is looking at an NGO job that would base us out of London, so maybe we will meet one day! Happy Holiday’s, my friend! It was, Kathy, delightful indeed. How amazing that you might come and live near London? Please keep me posted. Of COURSE we’ll have to meet! All the best, Kathy. Sunshine, what a lovely concert. These red box events sound like great events. Keep the enjoyment flowing through the holiday season. Thanks, jacquelin. And the South Bank was pure delight with the German Christmas market in full swing … lights and pure delight. Hope you’re having happy holidays! is how we are going to spend our Christmas holiday! And just think, Sunshine, last year at Christmas I was sitting at the edge of the polluted Willamette River ready to drive my car in!!! Thanks so much, Paul – it was an incredibly beautiful and special concert. I am so thrilled you found my blog and that you loved the concert as much as we did! It was a privilege indeed, I agree with you. I was at the concert with my wife. We used to listen to Rickie’s music when we were courting, 30 years ago, and have loved it ever since. 3rd time we’ve seen her play, but never in such a big venue with such a big back-up band and such a big audience. Traces of the Western Slopes, Skeletons and the Returns, along with many others, gave us moments of pure magic. What a great evening and where did those 30 years go? Hi Rupert, so lovely that you commented on this amazing concert. I know what you mean – there were so many lyrics and songs that took me back to Cape Town (where I studied) and to specific times and places. Where does the time go, indeed? In so many ways, 30 years ago feels like last week! So glad you enjoyed the concert as much as we did. Thank you so much – thank you for sharing the adventures with me! Hope you’re enjoying the holidays. Sunshine, thanks so much for sharing your concert experience with us — almost made me feel like I was there with you! Hope you enjoyed it as much as we did! Happy holidays, Debbie. Sounds like another great evening, Sunshine! Hope all’s well. It was, Todd. Thank you – all well here, just chilly in London town! Hope you’re well and enjoying the holidays. Oops … typo. I’ll change it – thanks for pointing that out, Bill. London and the Royal Festival Hall – can’t go wrong! Thanks, Kate. Oh wow, Sunshine, you are such a lucky fish! Hey Vickie – good to see you here. I’m doing well, just finding it hard to keep up with blogging and reading my favourite blogs … how are you doing? 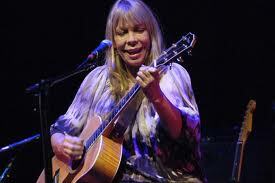 Wow, Sunshine…Rickie Lee Jones…there’s a blast from the past! Glad you guys enjoyed the concert! It was great – thanks, Wendy. Good to see you here again – welcome back, lovely lady.